Bethesda, Maryland; August 20, 2014 – This year marks the 20th Anniversary of SPX, which will be held September 13 and 14, 2014 at the North Bethesda Marriott Hotel & Conference Center. For our 20th birthday, we are pleased to announce Keith Knight, Shannon Wheeler and Derf as special guests to join us in our celebration of the cartoonists of the alt-weekly world. Keith, Shannon and Derf join the previously announced alt-weekly guests Jules Feiffer, Lynda Barry, James Sturm, Charles Burns, Jen Sorensen, Tom Tomorrow, and Ben Katchor, as well as SPX first-timers Brandon Graham, Emily Carroll, Drew Friedman and Mimi Pond. Keith Knight is the creator behind the long running alt-weekly comics Th(ink) and The K Chronicles, the latter of which won the esteemed Harvey Kurtzman Award as well as multiple Glyph Awards. His syndicated strip, The Knight Life, runs in such esteemed newspapers as the Washington Post. Keith’s will debut his latest book, which is a collection of Knight Life strips titled Knight Takes Queen. He is currently working on a graphic novel about his days as a Michael Jackson impersonator. Too Much Coffee Man that he began drawing in 1990. 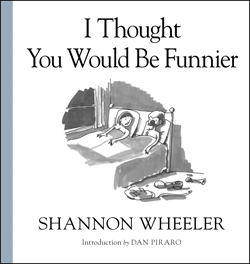 He is a contributor to The New Yorker, leading Shannon to publish I Thought You Would Be Funnier, a collection of cartoons rejected by that magazine. His latest book, God Is Disappointed In You, is a collaboration with Mark Russell that is a humorous attempt to retell the Bible in modern terms that has just released an audiobook version read by Dr. Venture/James Urbaniak. 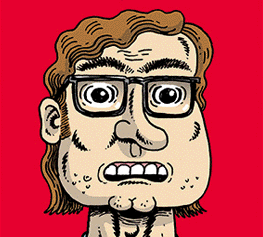 About SPDerf is the author behind the autobiographical graphic novel best seller My Friend Dahmer. His alt-weekly series The City recently completed its over 20 year run. Derf will be at SPX to debut his latest compilation, True Stories Volume One. Derf has been nominated for numerous Eisner and Kurtzman Awards, as well as being the recipient of the prestigious Robert F. Kennedy Journalism Awards. Small Press Expo (SPX) is the preeminent showcase for the exhibition of independent comics, graphic novels, and alternative political cartoons. SPX is a registered 501(c)3 non-profit that brings together more than 600 artists and publishers to meet their readers, booksellers, and distributors each year. Graphic novels, mini comics, and alternative comics will all be on display and for sale by their authors and illustrators. SPX also has a two tracks of of panel discussions and interviews with this year’s guests that run through both days of the event. The Ignatz Award is a festival prize held every year at SPX, with the winners chosen by attendees at the show. All works nominated for Ignatz Awards are donated to the Small Press Expo Collection at the Library of Congress, which is the first institutional collection in the United States dedicated to the indie comics field. As in previous years, profits from the SPX will go to support the SPX Graphic Novel Gift Program, which funds graphic novel purchases for public and academic libraries, as well as the Comic Book Legal Defense Fund (CBLDF), which protects the First Amendment rights of comic book readers and professionals. For more information on the CBLDF, visit their website athttp://www.cbldf.org.